Country music queen Loretta Lynn has big plans for her 87th birthday this April in the form of an all-star tribute concert featuring Jack White, Garth Brooks, George Strait and many more. The “Coal Miner’s Daughter” singer-songwriter on Monday announced details of the April 1 show in Nashville, Tennessee, at the Bridgestone Arena. She released her album “Wouldn’t It Be Great” last year, but hasn’t been performing publicly since she had a stroke in 2017 and missed being honored at the CMT Artists of the Year show last October due to an illness. Lynn said she’s not planning any duets during the concert, instead saying she just wants the artists to sing for her. “I know what I want to hear and I am pretty sure they will be singing them,” Lynn said. 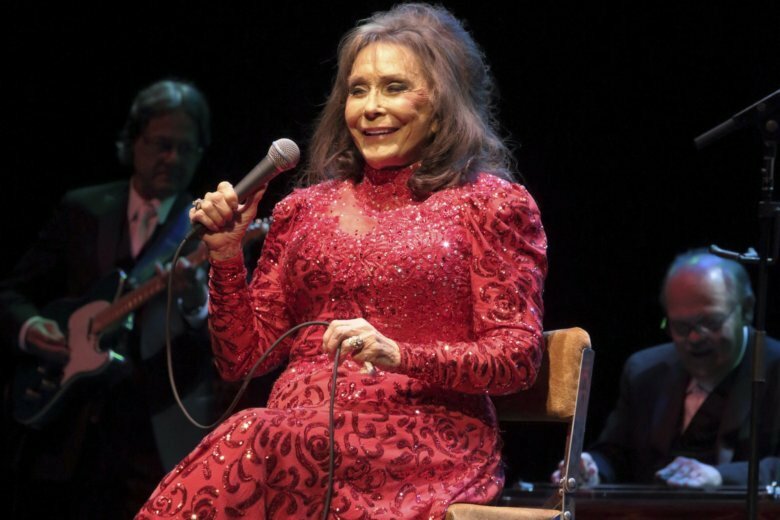 Still the Country Music Hall of Famer said she would eventually like to perform again. “Feels like I have been gone a hundred years,” she told The Associated Press. Despite her health problems, including fracturing a hip, she has continued to put out music and earned a Grammy nomination this year for best country solo performance for her song “Wouldn’t It Be Great,” which she wrote about her late husband Oliver “Doolittle” Lynn. Brooks joined her on the stage of the Grand Ole Opry, where she was presented with a birthday cake. The two artists are close, and Brooks told a story about how he was her date when she was given a lifetime achievement award from the Recording Academy in 2010. She insisted that he bring her in his truck rather than a limousine, Brooks said, and she climbed inside wearing one of her big ball gowns that she’s fond of wearing. “That truck still has so much glitter in it,” Brooks said. Lynn said after the press conference that Brooks came to her while she was having health issues to pray over her.